Video games have come a long way since their early beginnings in the 1950s. Today, almost two-thirds of American homes have video games and the $100 billion industry continues to grow. The first video games were developed by professors and scientists as research experiments in the 1950s. In 1967, Ralph Baer developed the first multiplayer video game system known as the Brown Box. The system could be used with a television and was sold as the Odyssey. The Odyssey never did very well and soon died out, but one of the games lived on as inspiration for Atari’s game, Pong. This popular game started out in arcades before moving to homes. 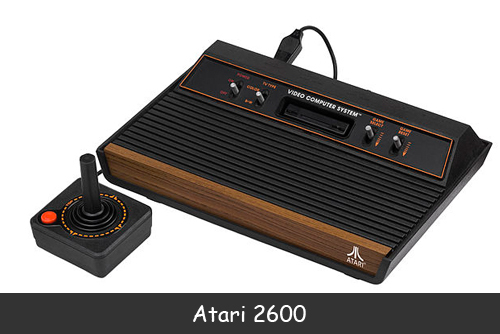 In 1977, Atari released the Atari 2600. This gaming device had multiple games and joysticks. In the late 1970s and early 1980s, Nintendo, a Japanese company introduced Donkey Kong. Pac Man was a popular arcade game. During the early 1980s, the video game industry crashed and several companies went bankrupt. In 1985, Nintendo released the Nintendo Entertainment System in the U.S. Better graphics and technology made the product a hit. They released Legend of Zelda and Super Mario Brothers, games still popular today. In 1989, Nintendo released Gameboy, a handheld gaming device. Sega gained popularity during the 1990s, competing against Nintendo. In 1995, Sony released its first gaming console, PlayStation. PlayStation 2, released in 2000, is the best-selling game console of all time. In 2005 and 2006, high-definition game systems were introduced, including Nintendo Wii, PlayStation 3, and Xbox 360. These systems changed the face of video games. Games, such as Angry Birds, became popular on social media and mobile devices. Angry Birds earned $200 million in 2012. Question: What’s the future of video games? Answer: Video game designers continue to work on better graphics and a more realistic experience. See photos of the first video game system, the Brown Box.